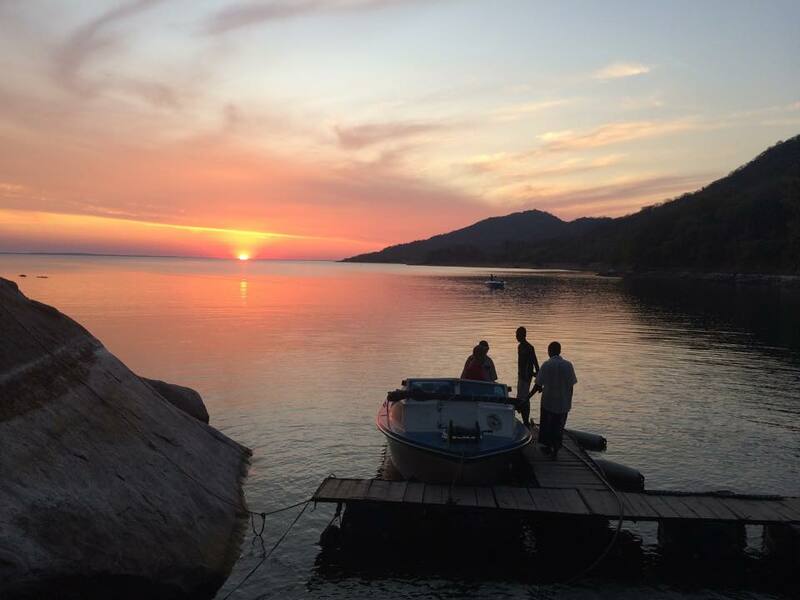 Cahora Bassa Accommodation - In the heart of Mozambique lies a hidden jewel, a body of water untouched and untamed, a piece that is wild with life, a place that is home to one of Africa's most feared predators - the Tiger fish. 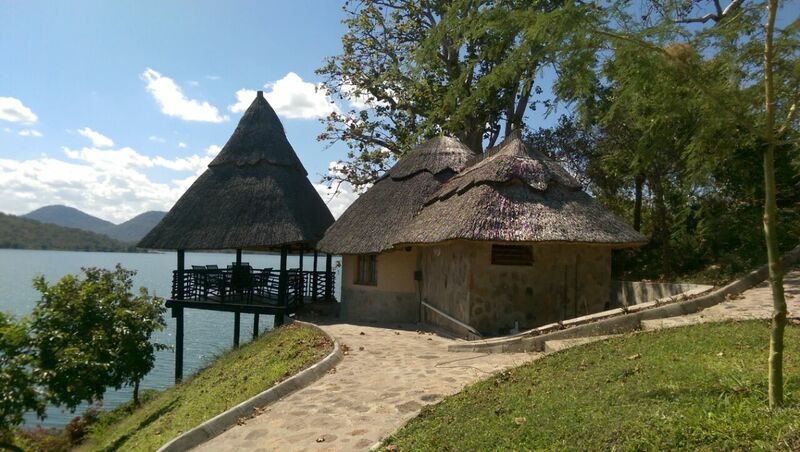 The Lake provides unlimited fishing for various species especially Tiger fish, Bream, Vundu, Chessa and Cornish Jack. has been growing in popularity over the past few years. For the past 25 years it has been largely un- fished and there are a large variety of species to be found. Cahora Bassa has a world renowned reputation for its trophy Tiger Fish and oversized Vundu. Tiger Fish up to 11kgs and Vundu 40 kg’s are not uncommon. 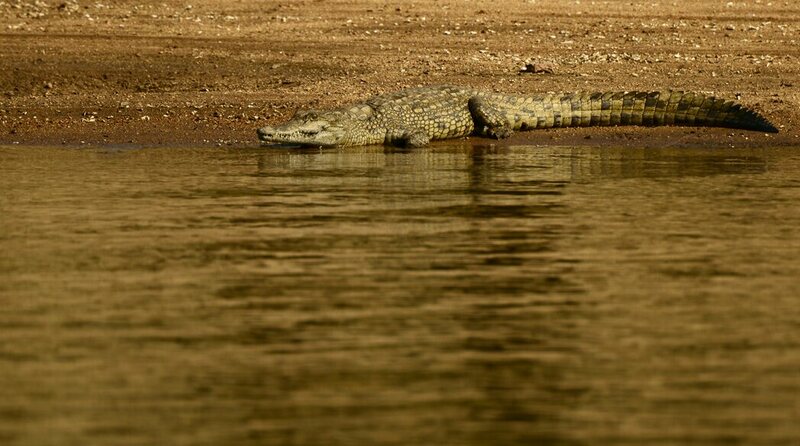 The wildlife in this area is still untamed and the bays and inlets have plenty crocodile, hippo and a huge variety of bird life. Cabora Bassa and more recently to Cahora Bassa. which dams the Zambezi river is one of the worlds largest dams, and the second largest in Africa. The Cahora Bassa dam was originally built to store water and control flooding but was later extended to include a hydroelectric power station which sells excess power to South Africa. The lagoon created by the dam supports some semi-industrial fishing and a relaxing excursion for tourists travelling overland. Some History on the Cahora Bassa Dam project - Started as a joint project between the Portuguese and South African Governments in the late 1960’s. Surveys had correctly shown that the physical features of the Cahora Bassa Gorge were theoretically ideal for a hydro-electrical scheme, but the practical aspects were somewhat different due to endless Political wrangling. Contractors erected the biggest hydro electrical scheme in the Southern Africa region at an inaccessible site, and on a river best known for its violent and unpredictable floods. The tropical climate produced sweltering heat one moment and torrential rain the next. There was a continued shortage of skilled labour. Tropical diseases such as bilharzia, malaria and yellow fever also plagued labourers. They were also under a constant thread of hostile forces. During its construction, the dam site was repeatedly attacked without success by Frelimo guerrilla insurgents in an attempt to sabotage the project. Despite all the problems, the river was closed with a double curved arch wall in 1974. This enclosure formed a man made lake 270km long with an average width of 10km’s. The lake contains 52 000 000 000 (fifty two thousand million) cubic meters of water, more than twice as much as South Africa’s total water storage capacity. The station is equipped with five generators, each with a rating of 480MVA/220kV, rotating at 107 rpm by Francis type turbines. At that time it was the second biggest hydro electrical station in the world. Six kilometers away a surface rectifier station converts the 220kV AC to 533kV DC. The power is then transmitted to the Apollo substation near Pretoria with two mono polar lines where it is inverted to 275kV AC and connected to the ESKOM grid. The transmission line utilizes 7000 towers, 40m high, and 1414km of steel core aluminium conductor. The transmission losses are ± 60MVA per line. Access: Driving there, By land the lodge can be reached by traveling through Zimbabwe via Beitbridge, Masvingo, Harare and Nyamapanda border post, or via Beitbridge, Masvingo, Mutari and Machipanda border post. Visitors traveling by road must ensure that they carry adequate fuel to cross Zimbabwe and stay within the applicable speed limits. They must also show reflective triangles in front of a towing vehicle and at the back of the trailer etc that is towed.